Joseph N. Carpenter, 54, was born on April 16th, 1964, the son of the late Herman N. and Martha L. (Secrest) Carpenter. My Uncle Joe went to be with the Lord on the morning of April 13, 2019 at OSU Wexner Medical Center, the same date in 2018 that his sister, Judy Peters (my mother) passed. Thus, making this day a special one because they both believed in their Savior, Jesus Christ, and confessed Him as Lord. They believed that Jesus (God in the flesh) had died on the cross for their sins and that He rose from the dead. They both had a heart change, a life change, and now an eternal destiny change. Not only are they in the presence of each other, but much more than that, they are now in the presence of our living Savior, Jesus Christ our Lord. Joe endured many trials in this life, medical, physical, emotional – including spending his last 10 years being paralyzed and in a wheelchair. He had many questions for God but continued trusting in the Lord to the end and making the best he could out of every day the Lord gave him. Joe no longer struggles with the burdens of this temporary life and there are no wheelchairs in heaven, praise the Lord! Joe had several truehearted friends, including Herman, Rusty, Hogan, and Dave, that visited most every day when he lived in his home town of Byesville. Our family thanks each of you for helping Joe to enjoy his independence as long as was possible. Joe loved to fish and was pretty good at it. 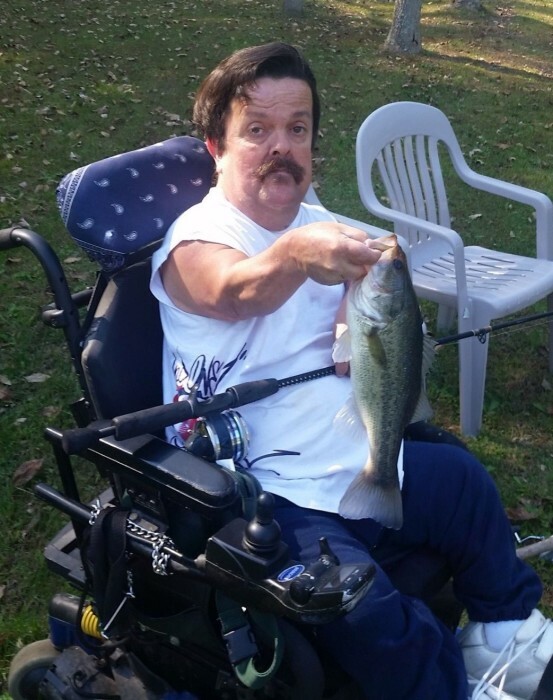 He also enjoyed watching NASCAR, Big Time Wrestling, and the show “Pickers” which prompted him at times to ride around Byesville in his wheelchair to visit yard sales looking for the best deals. My uncle Joe to the best of his ability enjoyed life. He loved his family and his friends. Joe was preceded in death by his mother Martha (Workman) Carpenter, his dad Herman Carpenter; sisters Judith Peters, Linda Colvin, & Leona Workman; and his brother John Carpenter. He is survived by his aunt Mary Phillips, Bethesda; nephews Barry (Judy) Peters, Quaker City, and Daniel (Julie) Peters, Barnesville; and many cousins. The family would like to express their appreciation for all the staff and caregivers who assisted & cared for Joe over the past couple of years, including those from Altercare of Summit Acres, Cambridge Care & Rehabilitation, Cambridge Hospital, Genesis Hospital, James Cancer Care, & OSU Wexner Medical Center. Calling hours will be Thursday from 1:00 to 3:00 p.m. at Black-Epperson Funeral Home, Byesville with services to follow at 3:00 p.m.